I didn’t know who he was at the time. A couple of other musicians listed among the album credits were familiar though. Nino Tempo and Sonny Bono were the two. It wasn’t until many years later I finally noticed Leon Russell”s name. The album was Phil Spector’s A Christmas Gift for You which I bought new sometime in the mid-sixties. A Christmas Gift for You was a collection of traditional and new Christmas songs performed by three of Phil Spector’s vocal groups. 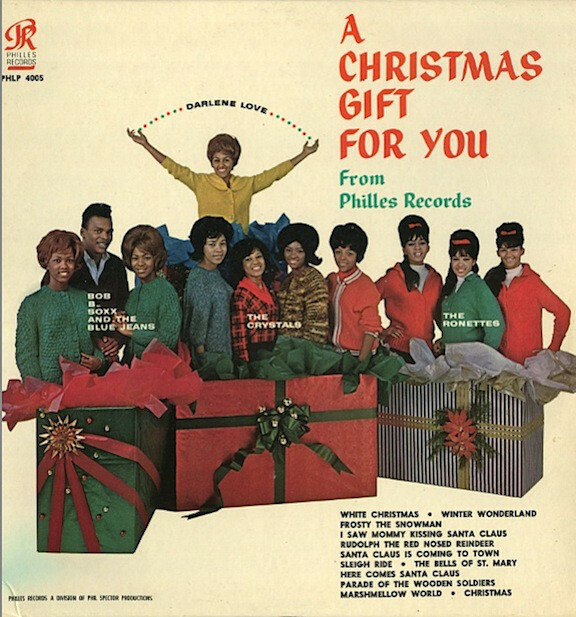 It featured the Ronettes, the Crystals, Bob B. Soxx and the Blue Jeans and, of course, the fabulous Darlene Love whose song Christmas (Baby Please Come Home) is still among my favorites. That was my first encounter with Leon Russell, though I didn’t realize it at the time. 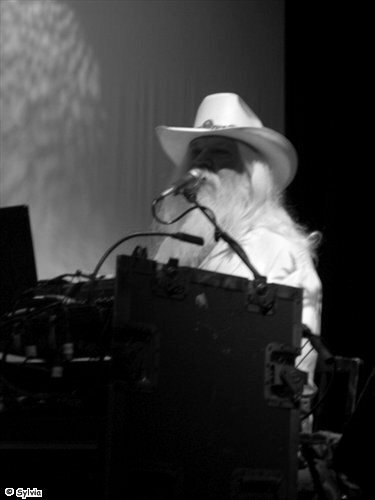 I listened to Leon Russell more from the late sixties on. From his work with Joe Cocker, throughout his solo career. We were fortunate to hear him in concert in Schaumburg, Illinois on October 2, 2010 at the Prairie Center for the Arts. Note: I’ve been a fan of Jonathan Edwards (the singer/songwriter, not the 18th century theologian) since first hearing his music in 1971. It took all these years until last night before I heard him perform in concert. It brought back memories of my first encounter with his music. 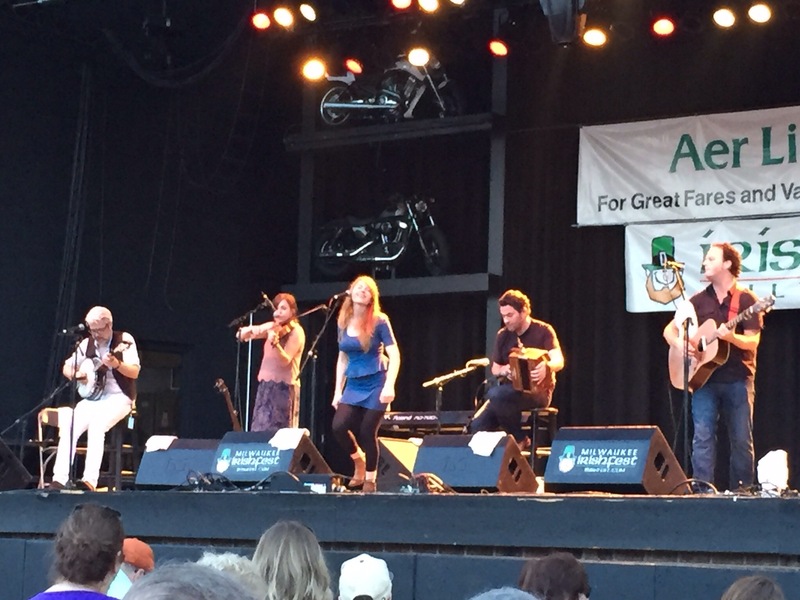 Having returned home from college for the weekend, I wasn’t around that October night Poco performed at Notre Dame. I heard it was a great concert with Poco delivering on their promise at the outset about getting the crowd to “kick up their heels and never let up.” They had the audience dancing in the aisles. What I really missed that night, though, was the party after the show. Frank, my apartment mate, and I hung out with some classmates who lived in a large house they rented outside of town in the middle of a corn field. The seclusion of this place, notoriously referred to as “the Ranch,” made it an ideal location for parties. Loud parties. The living room furniture consisted of two old, comfortable sofas, an equally comfortable easy chair and a high-end stereo system whose gigantic twin speakers were once used in a P.A. system for a rock band one guy had been in. As I said, the parties were loud. The following weekend featured another party at the Ranch, a welcome respite from hitting the books all week long. Still flying high, so-to-speak, from the week before, a lively discussion ensued about Poco’s show and subsequent appearance at the party. Ed, the party’s host, picked up a record album. As he slid the vinyl out of its sleeve and placed it on the turntable, Ed recounted a discussion he’d had with some Poco guys. He’d asked them what music they listened to when they weren’t playing their own. They said at the moment they were listening to a new singer/songwriter by the name of Jonathan Edwards. Ed cranked up the volume as the first track began to play. Everybody knows her. She’s the one to love… came blasting out of those speakers. “This is the guy they were talking about,” Ed announced when the song finished. We listened to the next five songs on the album’s first side in virtual silence. Wow! Great stuff! Browsing the record bins in the campus bookstore a few days later, I ran across that eponoumously titled album by Jonathan Edwards. I snatched it up and and trotted over to the cashier, plunking down my three bucks and forgetting entirely about whatever else led me to the bookstore initially. I couldn’t wait to get a listen back at the apartment, pull out my guitar and start learning how to play those songs. It was a lofty challenge, but I learned to play a couple and would sometimes include them when entertaining myself or my apartment mates late at night. One song, Shanty, remains in my repertoire to this day. 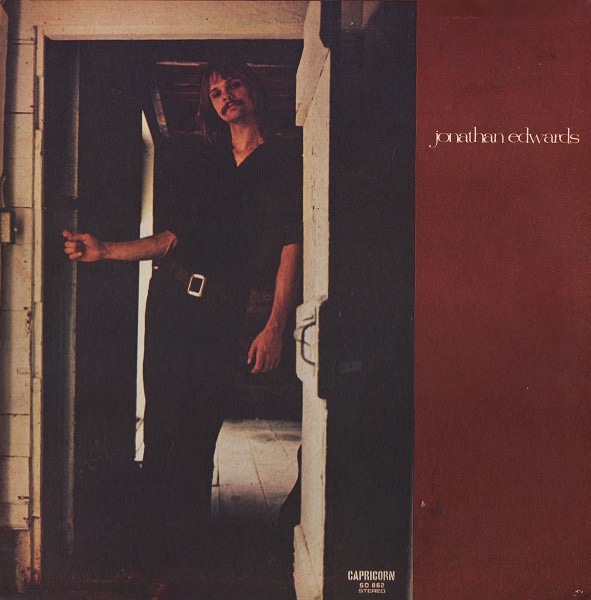 Thanks for the years of great tunes, Jonathan Edwards. Such beautiful imagery from a guy who shares his name with an 18th century preacher man. The details are a little hazy after all these years. I suppose that isn’t unusual considering the intertwined memories involved. What would the Chicago Cubs and Arlo Guthrie have in common anyway? If you’d ask Guthrie, probably not much. But memories continue to churn as they challenge me to line up the details just enough to connect at least some of the dots. I last saw Arlo Guthrie on Valentine’s Day 2016, in a concert marking the 50th anniversary of his epic Alice’s Restaurant and it was a great show. 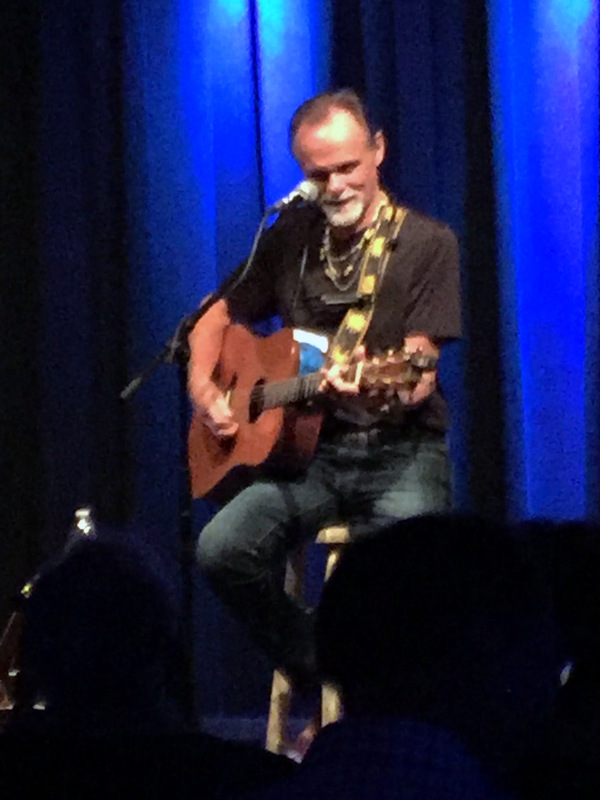 One tune he performed was City of New Orleans, a song penned by Chicago’s late Steve Goodman. You should be well-acquainted with Steve Goodman by now, or at least one of his more widely heard songs, Go Cubs, Go. Among all songwriters and most of the general public, Goodman was undoubtedly the world’s most devoted Chicago Cubs fan. Introducing City of New Orleans, Guthrie told a story about the song and his first encounter with Steve Goodman in 1971 at a club in Chicago. He didn’t mention the club’s name, but his description of the venue, his performance and the circumstances surrounding their meeting sent chills down my spine. He talked about how tired he was at the end of his second show, when a young guy with a guitar approached and asked if Guthrie would listen to a song he’d written. Arlo admitted he wasn’t very gracious to the stranger and tried to leave, claiming to be tired and not wanting to hear any more songs. But the young songwriter, who introduced himself as Steve Goodman, continued to press him. So Guthrie made him a deal. If Goodman would buy him a beer, Guthrie would listen for as long as it took to finish the beer. Goodman played his new composition, City of New Orleans, and asked if Guthrie wouldn’t mind passing it along to Johnny Cash. Guthrie was so taken by the song and the young songwriter that he eventually asked permission to record it himself. Arlo Guthrie recorded and released City of New Orleans in 1972. It became a hit for Guthrie and paid for Goodman’s rent (and Cubs tickets) for years to come. It was cold that January night in 1971. 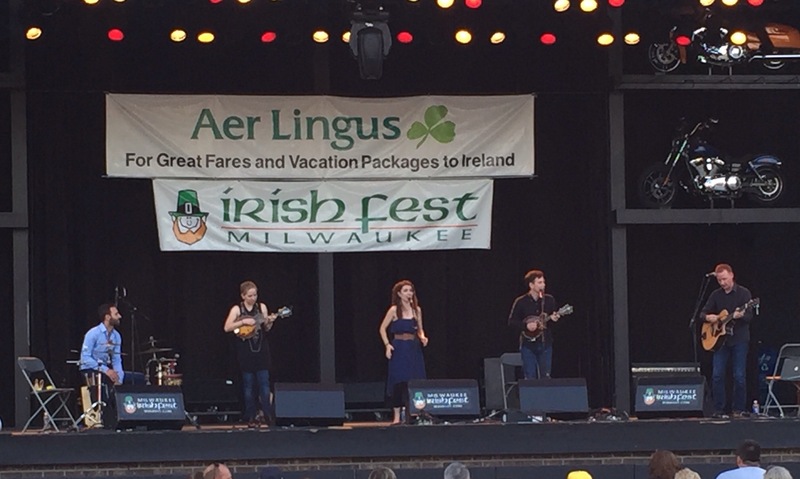 A college buddy and I had driven to Chicago for a concert. We drove to Chicago quite often for concerts and I thought this time it was to hear Small Faces featuring Rod Stewart. Whoever it was cancelled due to illness, leaving the two of us in the Windy City with no particular place to go. We headed to Old Town where we spotted a flyer stapled to a utility pole. Arlo Guthrie was appearing at the Quiet Knight, a music club in Lincoln Park. We climbed back into the car and drove over to the corner of Lincoln and Belmont avenues. We enjoyed listening to Arlo Guthrie’s late show that night. I recall someone in the audience shouting out a request for him to play Alice’s Restaurant. His response was, “Go see the movie.” I can only imagine the mood Guthrie might have been in after playing two shows, then being approached by a young stranger, guitar in hand, asking him to listen to an original song. We can all be grateful he was thirsty enough to make that offer, though. 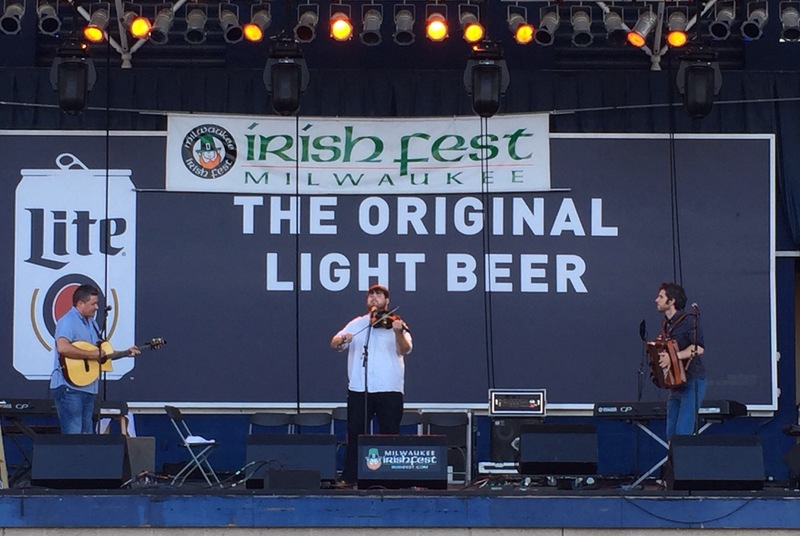 Sometimes a beer for a song isn’t such a bad deal after all. And everything under the sun is in tune. But the sun is eclipsed by the moon. Surrounded by darkness, an explosion of colors pierced the air as if the northern lights were suddenly and fully ablaze from above. A mild hallucinogen might have enhanced the experience. It was no ordinary Eclipse. That natural phenomenon typically isn’t accompanied by any sounds short of ambient traffic noise or, if you’re lucky, the early evening chirping crickets confused by a sudden onset of dusk. Or perhaps the ever present chattering of locusts. No. It was no ordinary Eclipse. This Eclipse would be repeated nightly for several weeks or even months. And it would be accompanied by virtually the same sounds each time. The wailing of voices. A steady beat of drums accentuated by an occasional cymbal crash. A rhythmic shrieking of electric guitars. The heavy thumping of a bass guitar, along with a sometimes lilting, sometimes bellowing Hammond organ. This Eclipse emanated from a stage upon which stood four men and one woman among towering stacks of electronic boxes powered by massive watts of amplification. The colored lights from above were among the first of the laser light shows whose wondrous spectacle would only improve over time. A man made Eclipse to be sure. In many respects, no less stunning than the natural phenomenon itself. In both instances, holding a rapt audience in awe. Just as an Eclipse is supposed to do. Just as Pink Floyd intended it. It snowed in northern Wisconsin recently. A bit unusual for mid-May, but not entirely unheard of. I couldn’t help thinking those snowflakes, swirling in the chilly air, were dancing in tribute to yet another fallen artist. Isao Tomita was a Moog synthesizer virtuoso who died at the age of 84 on May 11, 2016. Forty-two years ago I was introduced to what became his most famous work. 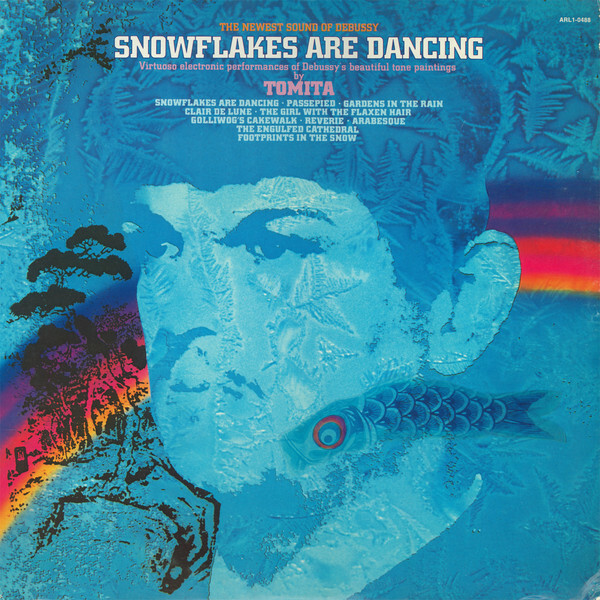 Snowflakes Are Dancing was an album of Claude Debussy’s “tone paintings” interpreted by Tomita on the Moog. It wasn’t the first album of electronic music I’d heard. Just before graduating high school, I was flipping through the “Psychedelic” bin in the record section of a local department store one day, searching for some unconventional music. (I was already a fan of the Mothers of Invention.) A shiny, silver cover bearing the title Silver Apples grabbed my attention. It was recorded by a duo bearing that name and has since been cited as the first collection of experimental electronic music. I plunked down a couple bucks and brought it home for a trial listen. At first I didn’t care much for the pulsating, sometimes discordant, driving beat of synthesized sounds. Nonetheless, I continued to play it occasionally just to hear something different. Until my freshman year in college. It was then the album was sold along with some others in what would be the first of several record purges over the next few years. How much I regret purging some of those albums is a story for another time. Most of my college listening (and occasional performing) involved serious folk-rock music, much of which carried with it a message of protest. But a spark of interest in the strange and exotic sound of electronica was rekindled after college, fueled in part by movie soundtracks like A Clockwork Orange. The film featured works performed on the Moog synthesizer by Walter Carlos. (Later he became Wendy Carlos.) Carlos had already gained notoriety with his 1968 Grammy-winning album, Switched On Bach, a collection of music by Johann Sebastian Bach played on the Moog. He composed the electronic music for A Clockwork Orange three years later. I picked up both albums and shortly after that acquisition, purloined one track from Switched On Bach to use as background music for a National Library Week promotional film I co-produced in the mid-seventies. It featured card catalog drawers opening and closing on their own, created with stop-action animation effects that appeared to be in sync with the music. The spot aired for a brief time on local cable television. I wish I knew whatever became of it. In the meantime, on November 2, 1973, I attended my first Moog synthesizer concert, promoted as a “multimedia performance of light, film and synthesized music.” The soloist was Morton Subotnick, whose press kit highlighted his contribution of electronic effects for the soundtrack to 2001: A Space Odyssey. It turns out my expectations were fulfilled neither in sight nor sound. 2001: A Space Odyssey it definitely was not. A few months after that concert, undaunted by my disappointment with Subotnick’s performance, I acquired Tomita’s Snowflakes Are Dancing album. The atmospheric interpretations of Debussy’s works blew me away. I loaned it to an amateur filmmaker friend who used it as the soundtrack to a short work he entered in an international film festival. He had cast me in the lead role, so it was the least I could do in return. After that, I played the LP until it wore out. For years I’d be reminded of Tomita upon hearing a Moog synth in prog rock music. Lucky Man, by Emerson, Lake and Palmer, for example. Only recently did Snowflakes Are Dancing rejoin my playlist after noticing the recording among a listing of digital titles available online. Who would have thought the electronic music produced forty-two years ago is now downloaded electronically and paid for electronically as well? Far out! Perhaps those late snowflakes in northern Wisconsin were dancing for Isao Tomita, who forever left his footprints in the snow and his fingerprints on the Moog. My uncle was the first person I knew with a high-quality component stereo system comprised of an Acoustic Research (AR) turntable, a pair of AR speakers and a Sherwood receiver. (I think it was a Sherwood.) He was, and still is, a classical music aficionado. Other than the occasional Maria Callas or Beverly Sills appearance on the Ed Sullivan Show, my exposure to opera and classical music in general had been limited at best. My uncle Gaspare introduced me to the soaring dynamics of symphonic music and opera on that audio system. But I was a mere teenager and my main musical interest gravitated to rock ‘n’ roll, thanks in part to a birthday present of a transistor radio that pulled in WLS in a scratchy-sounding way. Sometimes I’d hear a country and western song that sounded pretty good, but I’d never admit it to my friends. Likewise, I’d hear some version of Sabre Dance or Flight of the Bumble Bee and find out later it was really a classical music piece often used as background music by an acrobat or a juggler on TV. One Merle Haggard song I recall hearing was performed by the Grateful Dead. It wasn’t until I read the song credits on their live “Skull and Roses” album that I learned Mama Tried was Merle’s song. That was when I first recognized “crossover” music — songs originating in one genre and becoming popular in another. Years before, I’d heard Johnny Cash’s Ring of Fire on top-forty radio without making that crossover connection. With Merle Haggard’s recent death, I was reminded of his songs I liked, including Today I Started Loving You Again, Mama’s Hungry Eyes and Mama Tried. What does this have to do with Mozart? The honest answer is — not much. Except, all songs tell a story. Stories of love, work and play, and of trials, gains and losses. Opera is no different. This past week, we attended a performance of Mozart’s opera, The Magic Flute. It was sung in German, but there were projected English supertitles. A far cry from the simple poetry and three-chord progression of country and western music, the more complex orchestral score and voices ranging from a sonorous baritone to a lilting soprano portrayed the same sentimental stories of searching for love and other tribulations, just in a more flamboyant way. How fantastic would it be to slip the song Today I Started Loving You Again into the plot of an opera like The Magic Flute? Or perhaps envision old Merle belting out Ein Mädchen oder Weibchen (A Girl or a Woman) during a set on the Ryman Auditorium stage? Yeah, I guess either scenario would be pretty much out of the question. But from a purely show biz perspective, a country singer with a black cowboy hat slung low toward his tinted glasses holding a guitar isn’t that far removed from an opera singer in a feathered headdress and mask holding a magic flute, is it?